In my previous article, I mentioned that if you don’t have time, it might be wise to skip the traditional market bus tour. I mentioned that all markets are basically the same all over the world. That is true in my opinion, so I would only bother to visit just one market instead of visiting all the Korean markets using a tour bus. I find that by visiting the traditional market, I do get a better insight into the culture, history, and daily life of Korean people. 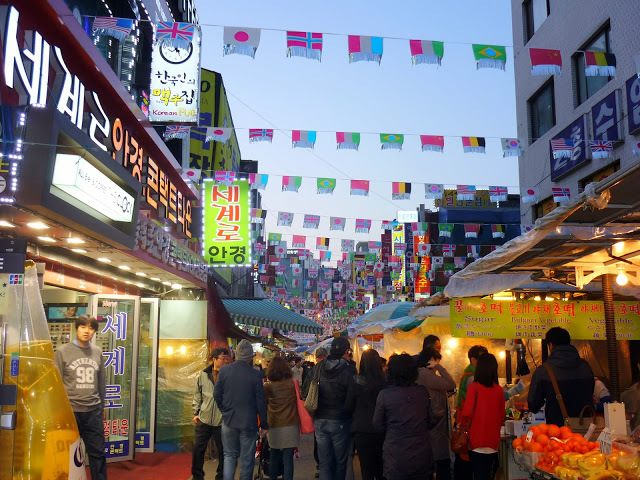 Many tourists visit the markets for shopping and also enjoying the local culture and food that is unique to the area as there is no better place to immerse yourself into Korean’s culture than in the market place. In Korea, I saw mostly the older generations selling, the middle-aged Korean women looking for bargains, and groups of young ladies giggling, and young boys shouting (trying to get the girl’s attention) and all are having fun. It is fascinating to watch the behavior of the young Koreans. There are 2 traditional markets in Seoul, Korea that is worth visiting. Namdaemun Market and Dongdaemun Market. Namdaemun Market, the oldest market in Korea, dates back to 1414. Here you can find clothes, kitchenware, home electronics, makeup, flower market, fashion accessories, art supplies, china and glassware and food at low prices. You can also find ginseng, medicinal mushrooms, seaweed, beans and local herbs and spices. There’s also a large ‘import’ food market, as well as a small fish market. You can find wholesale goods to retails goods here as most shops have their own factory thus enabling visitors to purchase goods at inexpensive prices. Many tourists go there to get souvenirs whereas locals go there for the local fashionable trendy goods. How To get there: Take the subway to Hoehyeon Station on Line 4 (stop 425) and go out Exit 5. Dongdaemun Market is the largest traditional market (area-wise) in Korea. 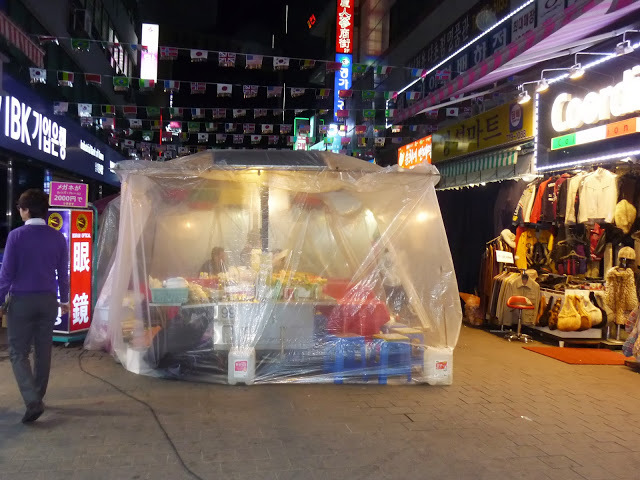 This is a more popular market in Seoul as it is more modern and there are round 5,000 shops that specialize in fabric, clothing materials, accessories and wedding gifts. Dongdaemun market. 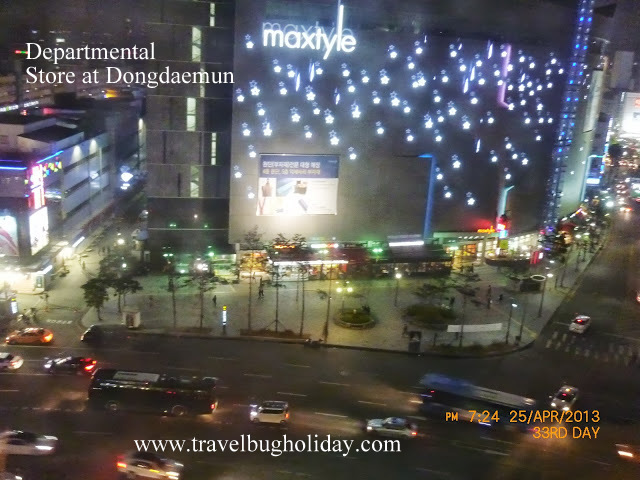 The big departmental stores such as Doosan Tower, Migliore, Freya Town and Hello apM are mostly visited by the young generation thus making Dongdaemun a favorite spot for fashion. The shopping malls regularly organized many special event mostly around 7 or 8 pm. 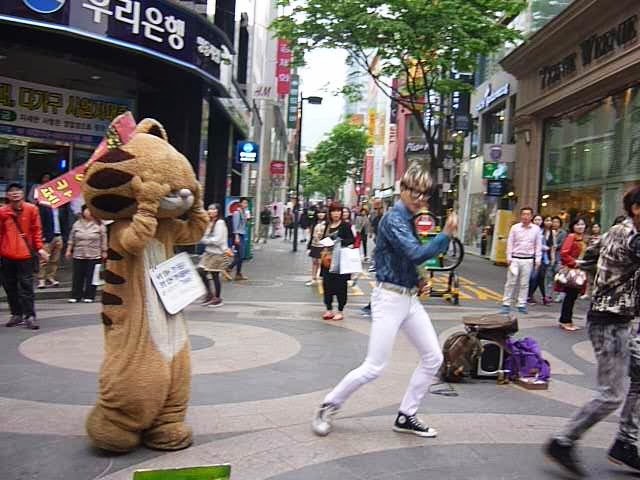 Events such as boys & girls ( K-Pop style ) singing and dancing on the stage in front of the mall. As this market is fairly big, it may be wise to stop by the Dongdaemun Market Information Center located on the west side of the Dongdaemun Stadiums and get a free map. How To get there: Dongdaemun Station (stops 129 or 421) on lines 1 and 4. Many of the exits will get you into the market depending on where you want to go. Try exits 1, 4, 5, 13 or 14. Tips: Good quality goods are slightly cheaper at Namdaemun Market, than Dongdaemun Market.